This course will run for four weeks. Lessons will be disseminated each week in a downloadable PDF handout, along with short YouTube videos. Interaction will be an important part of this course, and will be via the “room” so participants can chat with the presenter. The presenter will provide individual feedback privately. The time commitment for this course is at the discretion of participants. 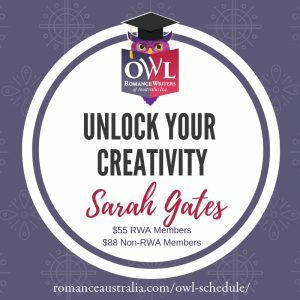 Participants will need to have a new idea they want to start working on, or have an existing manuscript or partial ms.
Soraya lives on a small farm in her native New Zealand with her husband, their two young sons and an ever-growing collection of four-legged friends. When she’s not writing, she loves to be outside playing make-believe with her children or snuggled up inside reading. Find out more about Soraya and her writing at www.sorayalane.com. 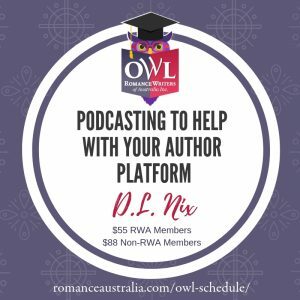 Soraya M. Lane is presenting RWA OWL, Perfecting Your Pitch & Plotting Your Story, in March 2019. Registrations now open. $55 for members and $88 for non-members. Click here to Book.